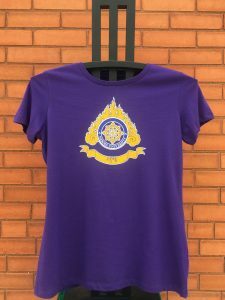 Heavyweight cotton is cut in a standard fit and features a colorful yellow and navy Naropa University logo at the chest. Finished with a banded crew neck. 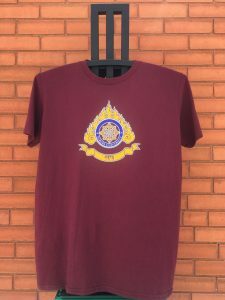 Heavyweight cotton is cut in a standard fit and features a golden Naropa University logo at the chest. 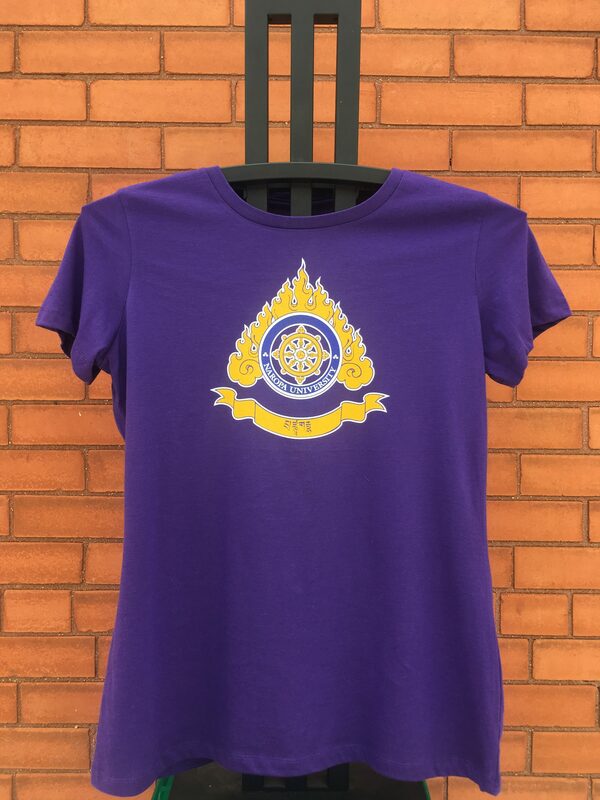 Finished with a banded crew neck. 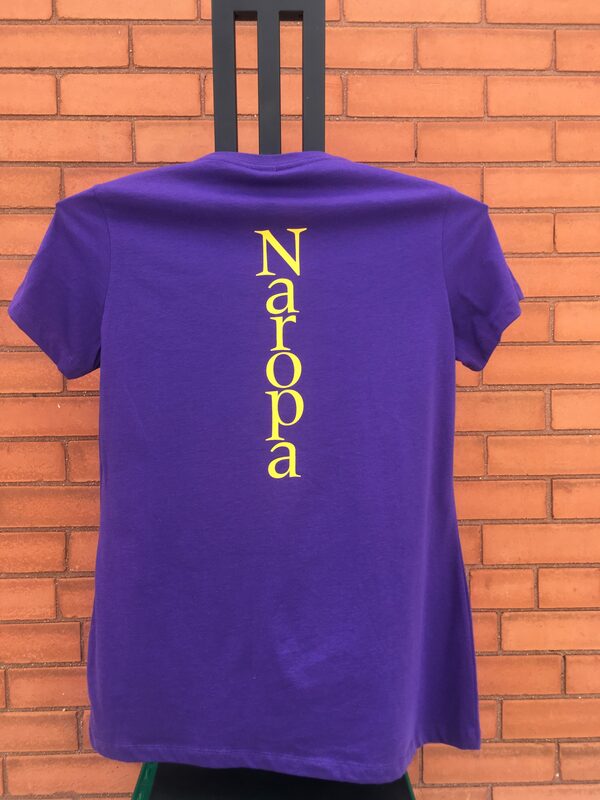 Heavyweight cotton blend cut in a standard long sleeved fit and featuring a full color Naropa University logo across the chest. 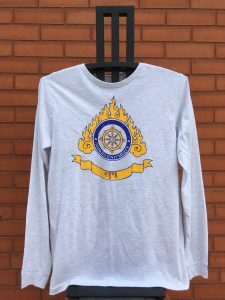 Finished with a banded crew neck and banded sleeves. 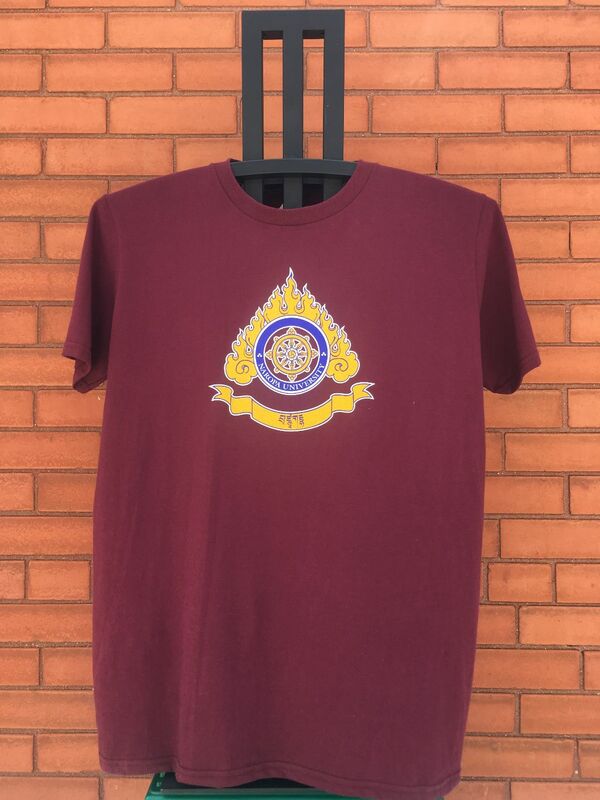 Heavyweight cotton blend* cut in a standard short sleeved fit and featuring a full color Naropa University logo across the chest. Back features vertical Naropa text. 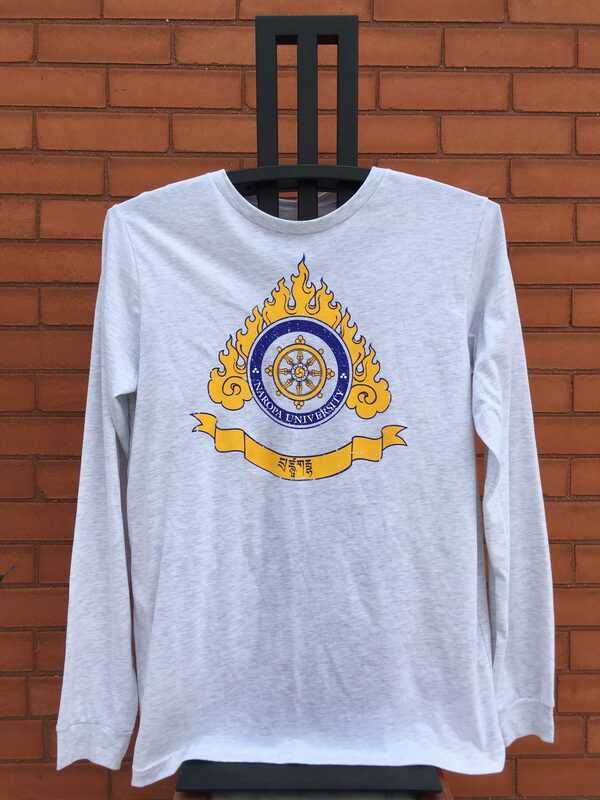 Finished with a banded crew neck and banded sleeves.